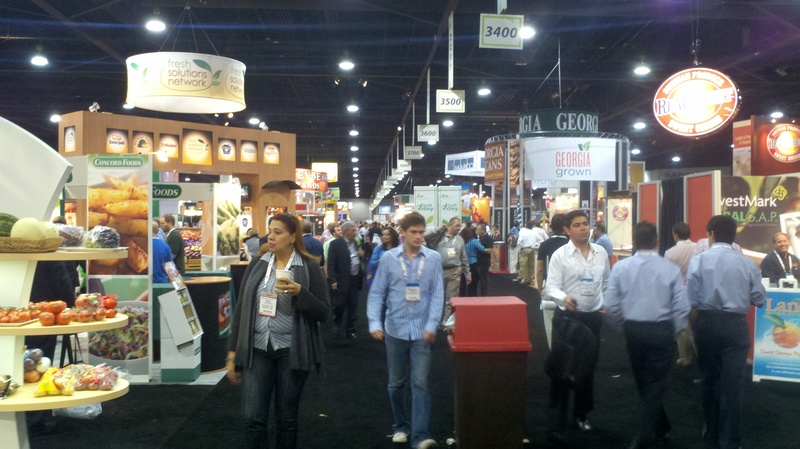 Day 1 of PMA’s Fresh Summit in Atlanta is now behind us. I’m not sure what the final attendance numbers will be but the show floor is buzzing. With an eclectic mix of fruits, veggies, pre-packed snacks, salsas, juices and other items, there’s plenty to see and plenty to taste. A lot of people have come by the Intelleflex booth (3782) and we’ve had some very interesting conversations as people describe their products and the unique challenges associated with packing and shipping them for retail distribution. For example, I learned that Basil is the only herb that has unique shipping refrigeration requirements. 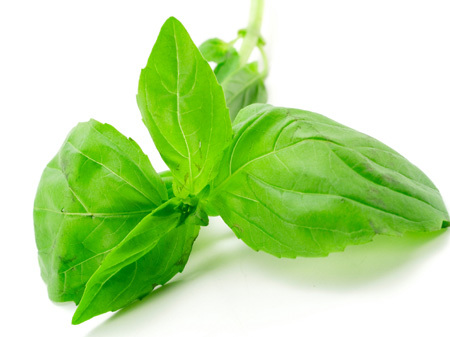 Other herbs can be refrigerated but Basil has to be kept in the mid 50 degree range or it browns and spoils. As such, it’s often a casualty of improper shipping and posed a significant challenge for two Basil growers from Chile that I spoke with. I also learned that apples which, by fruit standards have a fairly long shelf life, still have specific temperature management issues, especially when shipped abroad. Interesting also that apples, when held in cold storage, aren’t easy to inventory as the store rooms have no oxygen, making careers in apple inventorying very unappealing. We’re speaking with a lot of large and small growers, many of whom made the trip from Mexico, Chile, Honduras, Brazil and Argentina, demonstrating the huge global market for fresh fruit throughout the year. Latin American growers are particularly interested in pallet-level temperature monitoring, shelf life prediction and documented freshness at delivery due to the longer shipping distances they’re forced to deal with when sending products to the USA. Large retailers like Costco and Safeway are also exploring the show floor. Day 2 begins at 11am today and, in addition to the tens of thousands of screaming produce fans, we’ll also have about 60,000 screaming Atlanta Falcons fans here today as well. Sounds like an exciting Sunday in the making. 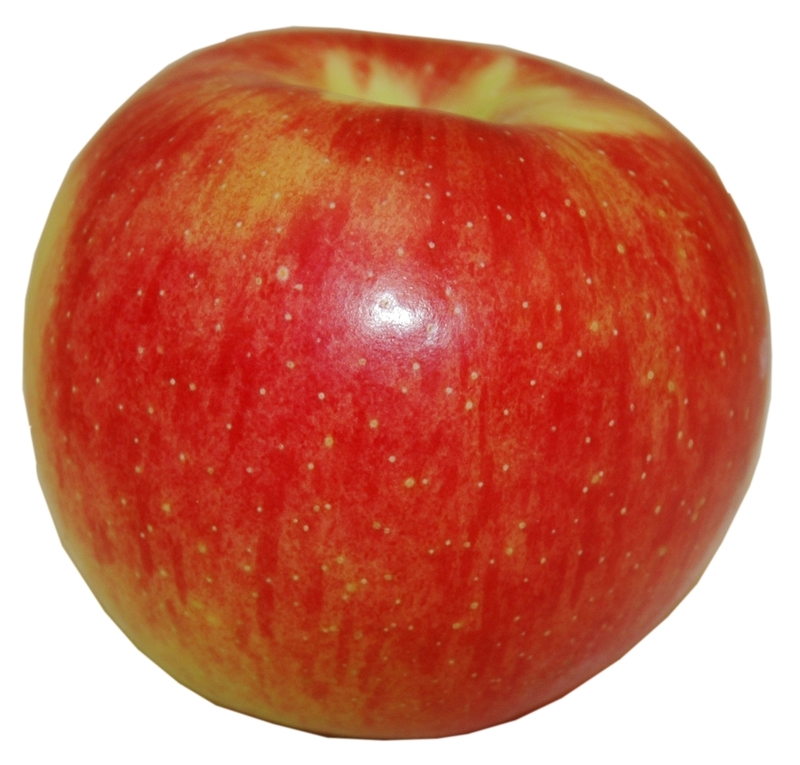 PS: To you apple fans out there, keep an eye out for a new variety called a “Lady Alice” that will be making its appearance on store shelves in February I’m told. Really tasty!